Business Travel & Tours has found an optimal balance between technologies and personnel that simply works. Whether you prefer to book your reservations online or with the help of a dedicated travel professional, we can assist. Through technology, we are expanding our customer’s options by offering value added services and tools to meet each customer’s unique needs. Our software will electronically track your unused tickets allowing you to apply any unused value towards future travel or provide you with a refund if possible. IQCX is a robotic mid office software that checks for dozens of data points to ensure reservation logic and accuracy. IQCX checks for seat assignments, and other critical elements of your trip to ensure satisfaction and accuracy, saving our travelers time, money and frustration. Our current online booking engine Concur Travel allows our travelers to book on-line 24×7 and provides an automated quality control check to ensure the reservation meets company policy and authorization requirements. Concur integrates company policy into the booking engine and only displays options that meet the companies requirements. CLICK HERE for more information about our online booking engine. With only a confirmation number, you can check the status of your next trip using “check my trip” around the clock and around the globe. This information can be critical to the corporate traveler who may have several trips planned or several trips in the planning process. Business Travel utilizes a web based on-line reporting system allowing customers access to their travel activity and ability to design reports specific to their needs 24×7. This information is retrieved from our back office information system and from our reservation system providing real time data. iBank, our on-line customer friendly reporting system, has a long established track record of providing accurate travel data using historical “back office” data or it can extract dynamic, real time information from our reservation system 24×7 from your desktop. iBank contains dozens of preformatted reports that can be used to monitor traveler’s activities including advance purchases, credit card reconciliation and many other time saving consolidation of your travel data. We can also format a customized report to fit your exact needs to be delivered weekly or monthly or reports can be ran on-demand at your convenience. Click Here to view our online reporting tool from iBank. 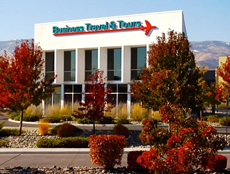 Business Travel & Tours uses software that automatically searches for the best fares. If the lowest fare happens to be web based, our software will find it and display it for availability. This tool, coupled with our relentless dedication, ensures that our clients receive the lowest possible price on all airfares domestic or international. 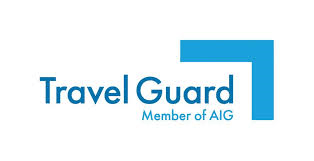 Call us at (775) 324-1777 today to learn more about our travel technology solutions or contact us online.